(*) Required fields This information will not be included in any database.. 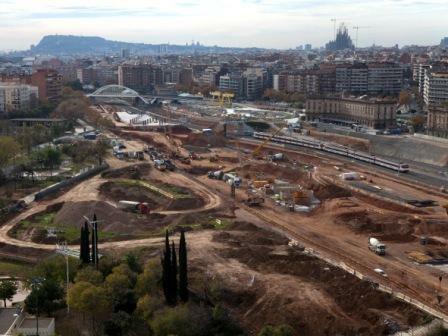 The works are under way and the executive projects of the Parc del Camí Comtal have already been delivered. 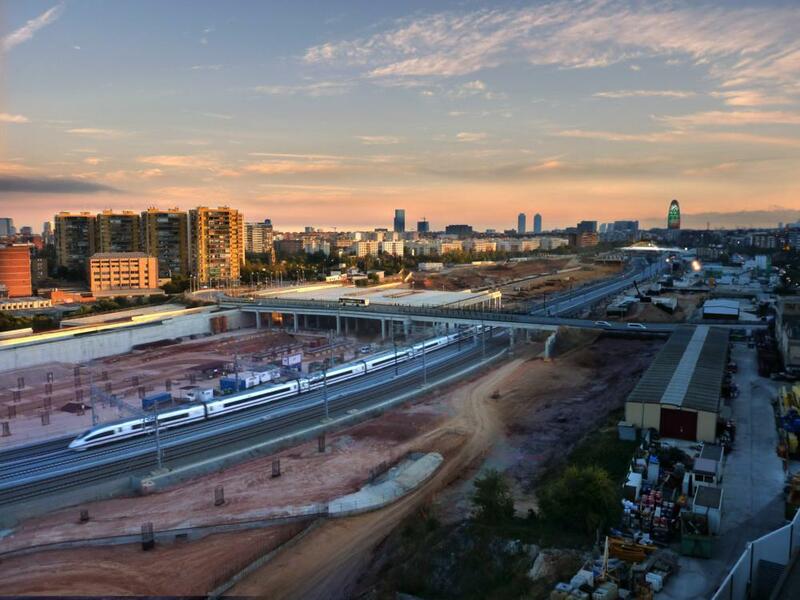 The new central station being built at La Sagrera is the centrepiece of the most in-depth railway and urban reform project of all those taking place in Barcelona . It will promote the sustainable urban development of 164 hectares, with a broad offering of new housing, new amenities, new public services and new centre for economic and commercial activity. The large platform that already covers part of the railway infrastructures will allow the creation of a large park measuring nearly 4 km and over 40 Ha. 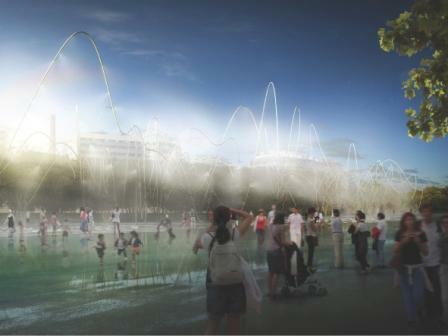 of surface area, the largest newly-created urban park in Barcelona. 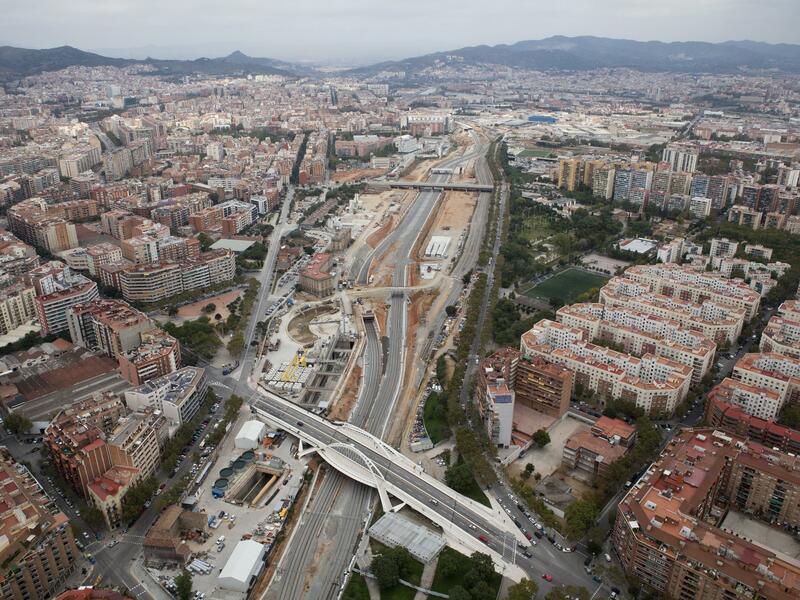 The construction of the La Sagrera Barcelona railway station constitutes the most important railway and urban reform project for the coming years across the entire metropolitan area. The station will be a strategic centre for transport in Catalonia, connecting high speed trains, local trains, the Metro, inter-urban bus lines, urban bus lines, taxi and private vehicles. The urban development of new streets will complete the integration of the facility into the city and two underground routes will link it directly with the motorways and the ring roads. 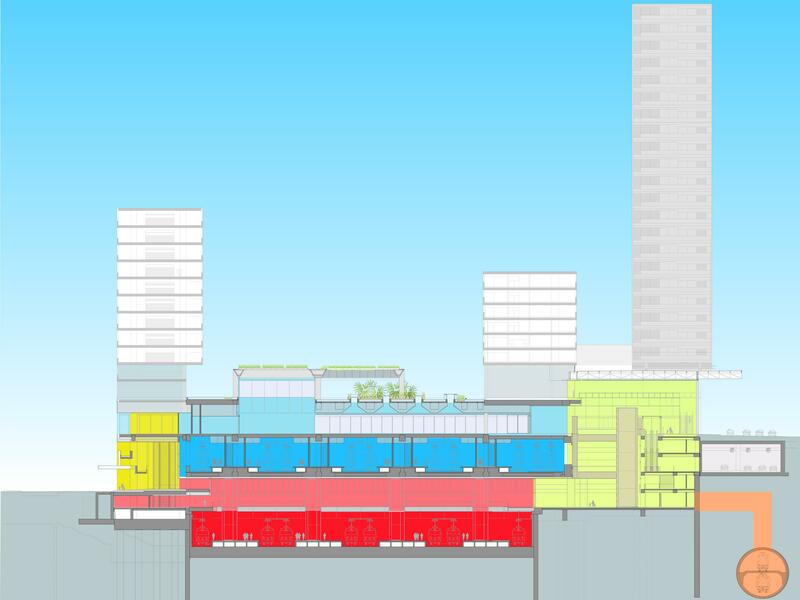 Its status as a station interchange and over 180,000 m2 devoted to diverse economic activities will transform the zone into a new central area. During the year 2014, excavation works began on the site where the station will stand. Also, road urban development works have been carried out on the streets Carrer Sant Adrià and Carrer Ferran Junoy, with an access ramp to the lower track and provisional tunnel, within the framework of the works in the Sant Andreu sector, as well as the urban development of the convergence of Carrer Berenguer de Palou and Carrer Garcilaso, within the context of the works on the sewer at Carrer Josep Soldevila / Carrer Garcilaso. 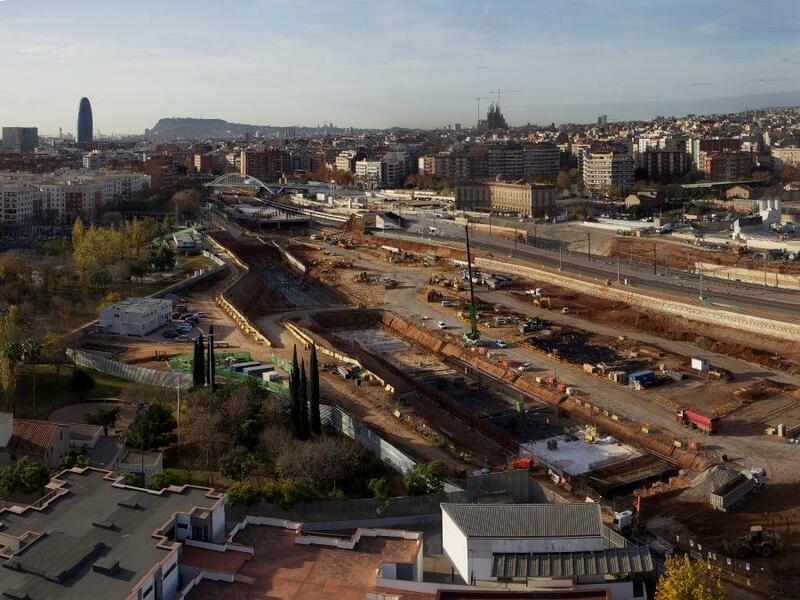 The works on what will become the central station of Barcelona are already showing the different structures, such as the station maintenance area, the foundations of what will be the buildings with tertiary activity that will surround the station, or part of the roofs upon which the largest urban park in the city will be built. 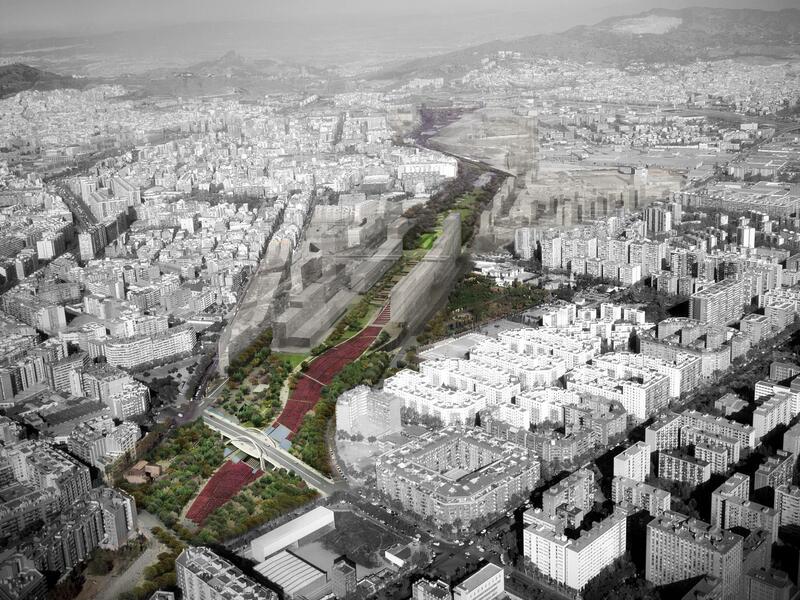 BSAV is executing the construction of a provisional walkway for pedestrians over the railway lines that will connect the streets Carrer Joan Comorera and Carrer Sao Paulo, to Sant Andreu. The construction of this walkway represents an improvement in the connection of the Sant Andreu neighbourhood and the area of La Maquinista, which was affected due to the works on the Sant Andreu Comtal station. 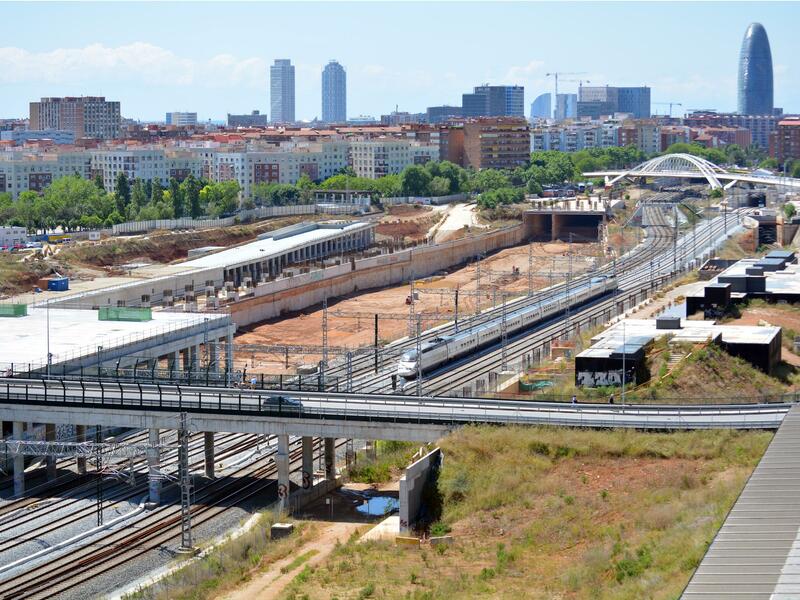 During 2015, construction will begin on the new sewer at Rambla Prim which will allow it to exist in compatibility with the railway platform and the urban development of this sector. Park Master Plan Tender Award Budget: €1,228,800 (plus VAT).